M is for move over, Siri! There’s a new intelligent personal assistant in town, and it commands at least 700 million users worldwide. 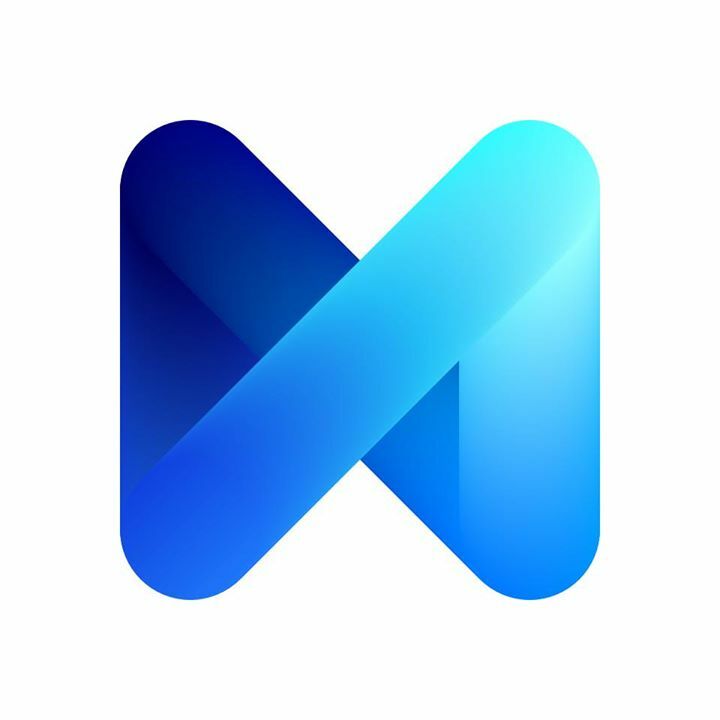 Facebook has launched M, its own personal assistant available through the Facebook Messenger app. 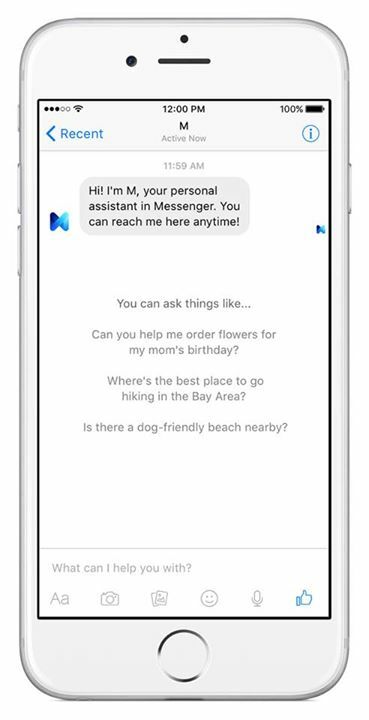 The personal digital assistant is Facebook’s bold answer to Apple’s Siri and Microsoft’s Cortana. 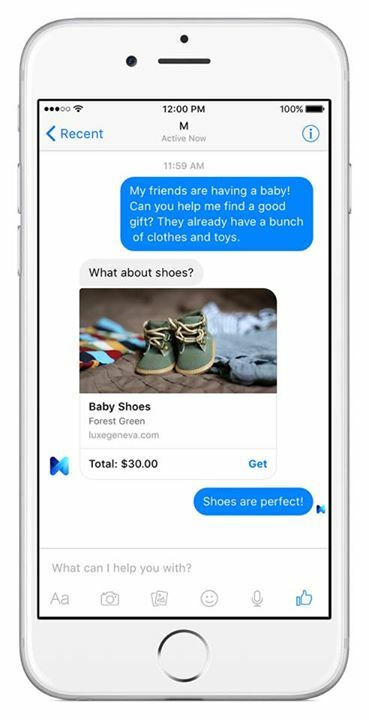 Facebook Vice President of Messaging Products, David Marcus, said in a post, “M is a personal digital assistant inside of Messenger that completes tasks and finds information on your behalf. It’s powered by artificial intelligence that’s trained and supervised by people.” Previous rumors speculated there would be a human component in Facebook’s approach. “Unlike other AI-based services in the market, M can actually complete tasks on your behalf,” Marcus continued. What can users make M do? Make restaurant reservations, have gifts delivered to your loved ones, book your weekend getaways, arrange appointments, and more. With these features, M can actually do things Siri, Cortana, and even Google Now aren’t capable of. “It can perform tasks that none of the others can,” Marcus was quoted as saying in a report from Wired.com. That’s because more than artificial intelligence, M is powered by actual people. M will first be made available to a select group of users in the San Francisco Bay area. To prevent automated errors, M Trainers—a team of Facebook’s own contractors—will be responsible for overseeing M’s most impressive features such as booking actual reservations, making purchases, and so on. What makes M a bit more interesting than others is that its artificial intelligence responds to your initial queries with updates or follow-up questions as it moves towards completing your request. So far, there’s no problem with privacy as Facebook won’t pull from your history to complete any of its functions—at least not yet. From the look of things, M may have a hard time entering the mobile market, but it has powerful features that might let it do just that. Google currently has control over search on desktop. If you’re searching something on mobile, however, there are several apps available, like Google, Google Maps, Twitter, Safari, and even Siri. Plus, Facebook doesn’t have its own operating system like Apple. Even with these disadvantages, however, M may make up for those shortcomings by being a digital assistant that’s so powerful, it’ll be the first stop for mobile discovery, or anyone looking to buy or do anything. 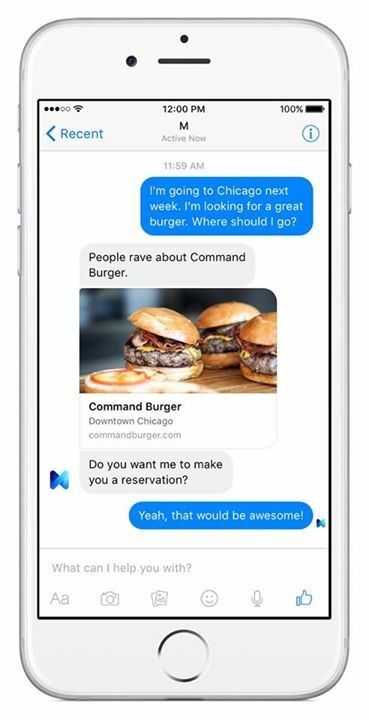 If M can deliver a better service than Siri, Cortana, or any other digital assistants, Facebook can easily grow its reach and user base on mobile, and eventually, open up new revenue streams. “We start capturing all of your intent for the things you want to do,” Marcus was quoted as saying. “Intent often leads to buying something, or to a transaction, and that’s an opportunity for us to [make money] over time. M presents a lot of opportunities for businesses. For one, if ever a business gets a lot of inbound requests, Facebook could partner with that company for a more direct, efficient service using Messenger. On Monday, August 24, one billion people used the Mark Zuckerberg-led social network in a single day. One in every seven people on Earth uses Facebook to connect with friends and family, in ONE day. If M delivers on expectations, that number likely has nowhere to go but up. We’ll just have to wait a little while longer to get our hands on this new service. Many challenges and roadblocks await this digital assistant, but Marcus is up for the challenge, he says, and so is M.
Conrado, or Billy as he is fondly called, is a senior web content writer for TrueLogic. He is a journalist, speaker, and motivator who graduated from University of the Philippines Baguio. He sometimes reads, plans things, travels, cooks, and even works out, but above all, he writes.